A pastor friend who has seen his share of troubles during his pastorates which total perhaps 25 years shared his questions with me. One. Some pastors live their entire lives without problems, serving church after church with a string of unbroken successes. What sets these pastors apart? Two. And yet other pastors seem to know setback after setback in their ministries. Are they to blame for this? What are the characteristics that lead some pastors to go from trouble to trouble in churches? One. Why do some pastors go from success to success without ever having to deal with an uprising of their leadership, a coup by the deacons, firings, diminishing statistics, scandals and such? My first thought is that we might be surprised at how much trouble some of the megachurch pastors, the superstars in the denominational firmament, have had to deal with in their years. But because we are far removed from them and their PR people are so good, we never hear of it. –Some churches are mature. When trouble arises, they deal with it. 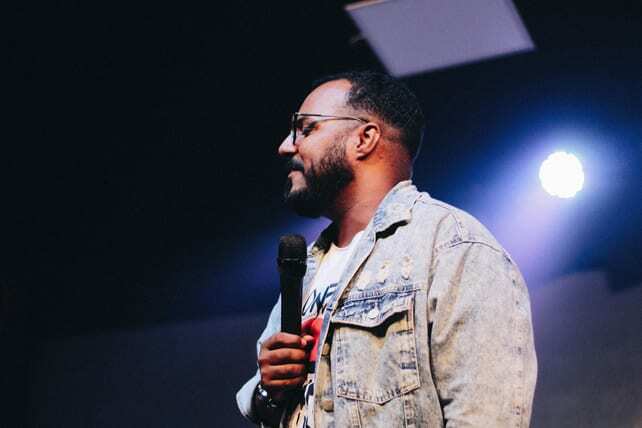 –Some churches are blessed by faithful leadership who protect their pastor from slander, vicious (and malicious) attacks, and mean-spirited opposition. –One factor might be denominational standards and cultural expectations. The pastor of a small Bible church was retiring after over 40 years there. He said to me, “I have not had a single instance of a group in the church trying to get me fired. Not one.” And yet, his church rarely if ever hit a hundred in attendance. My thought was, “Had this been a Southern Baptist church, the church-growth folks would have sent him packing.” If it’s not growing, it’s the pastor’s fault. Lord, help us. –Finding the perfect fit between the congregation and the pastor may be another factor. I’ve known many pastors to be sent packing for no other reason than “He wasn’t a good fit for our church.” I even heard it about myself more than once. Two. What characteristics lead some pastors to have multiple setbacks in their pastorates? My wife Margaret had an Uncle Harold who pastored churches and served as a director of missions in Alabama. My observation was that wherever he went, trouble erupted. On more than one occasion he was asked to leave. He said to me once, “I guess I’m the Lord’s troubleshooter.” I was young and just beginning in the ministry, but the thought that came to me was, “Maybe you’re a troublemaker.” But I had no way of knowing. Some people—as my friend suggested in his original note—simply have prickly personalities that rub people the wrong way, that push people away rather than draw them in. Those people are usually unable to see their problem and admit to their mistakes in order to repair broken relationships. So, they leave a string of fractured relationships in their wake, and eventually do one of two things: have an ever-decreasing membership, or keep moving on to other churches where they repeat the same process. Do good and faithful pastors—effective, sincere, godly—sometimes pile up a string of “failures”? (Using the word in the human, accepted sense.). I think so. If the Lord sends the faithful, healthy pastor to a broken church, no one is surprised when bruised and hurting members turn against him. It’s a human thing. During a life-saving course in college, we were taught that the swimmer you are trying to save will often fight against you. The person is fighting for survival and not thinking rationally. There’s some of that in hurting churches. I pastored one of them. If my pastorates all seemed to decrease under my leadership and if I was ousted from two pastorates in a row, I would seek help. I would try to find someone with skills in pastor-helping and church-analysis to take a look at my ministries and advise me. That is not to say I would enter this evaluation/counseling allowing someone else to determine anything about my calling or my ministry. I would, however, pay a good price to have a capable, veteran Christian analyze how I led a church and give me his/her verdict. Dr. Rob Paul has a ministry called Church Revitalization and would be one I would not hesitate to ask for input. It’s a huge subject and one we will not resolve in a brief article.